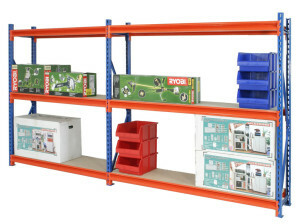 Longspan Shelving is a versatile clip together shelving system and is ideal for heavy duty storage. These shelving systems are cleverly designed to carry a chipboard shelf leaving a smooth and strong shelf capable of carrying heavy loads and suitable for dispatch picking and storage applications. There is no limits with this type of shelving as it is for one of the world’s most adaptable shelving systems. A small shelf unit can be assembled in minutes. Beams fasten simply and securely onto uprights which are easily adjustable. Once built, Longspan stays built and is built to last even in the toughest industrial environments. There is nothing like Longspan shelving when it comes to combining quality and ease of assembly. 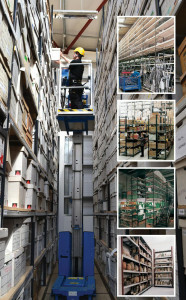 Longspan shelving can be used almost anywhere whether in business, industry or the public sector. It can be found in shops, offices, schools and hospitals. Ideal for storing automotive components, library books, stationery or any general products. 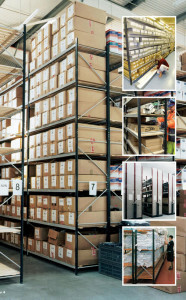 It can also be used in conjunction with mobile shelving schemes for high density storage. Comes in a number of beam applications, medium duty, heavy duty, extra heavy duty and more. Contact us to talk about what application you want the shelving for and we will give you our advice on what beams are most suitable. 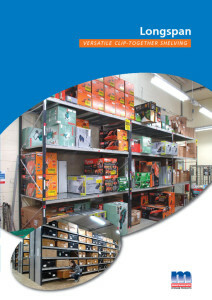 Click here to shop securely online for Longspan shelving bays. Should I buy New or Used Pallet Racking?